There is more than one artist with this name: 1) A Swedish metal band. 2) A German rapper. 1) PREACH as a band was formed way back in 2006 when Edvin Settervik, Carl Lundvall, Niklas Eriksson and Jimmy Axelsson started playing together. But the band as we know it today took shape in 2008, when guitarist Magnus Gr?nberg was added to the line-up. At this point, the band focused on playing live and they did many shows in the Stockholm area and kept on honing their skills and refining their sound. 1) A Swedish metal band. started playing together. But the band as we know it today took shape in 2008, when guitarist Magnus Gr?nberg was added to the line-up. At this point, the band focused on playing live and they did many shows in the Stockholm area and kept on honing their skills and refining their sound. The year ended when they played at Tantog?rden as one of the 2 supporting acts at DEGRADEAD's christmas show. After having released two cd's ("Weight of This" in 2008 and "Melt To Sand" in 2009) the band set their sights on Europe in 2010. They took a chance and went to Germany to play with german band SNIPER. The band did two very well received shows in Bothel and Verden and they returned home with new-found experience and a lust for more! 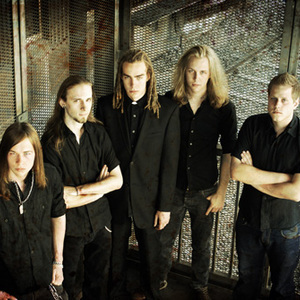 And so in february 2010 they accompanied the finnish band SOULFALLEN on their Grave New Finland tour with progressive metal colleagues, DESCEND. they played with bands such as OBSCURA and DRONE. "Path To Solace" was released on december 4th 2010 and it has thus far received good reviews from listeners all around the globe. The release is a testament to PREACHs will to keep moving forward and developing their music and on top of that, it's a great piece of classic, swedish melodic death metal. No one knows what the future might have in store, but PREACH will continue on the path they've been walking for the past year and continue their hard work to bring swedish metal to the 4 corners of the world. 2) Preach was born in 1986 in Germany. He is a rap musician and writer. His parents were missionaries and he was raised in a christian home. He went to Ramsey Church Of England School in Stockton-on-Tees, there he became part of a church called Oakwood Centre in the town of Eaglescliffe. In 2001, they moved to San Jose, California and Preach started drafting his first rhymes on paper and been doing it just for fun and didn't have the slightest idea that it will be the start of a new career for him. His rhymes were based on the ideas and song of other artist which he enjoyed doing. It was year 2004 when he started taking hip hop seriously and this time he realized that this was a calling from God and it made him focus more on his talent. Back in his high school days, Preach has his first performance where his talent was recognized by his teachers who asked him to lead a rap-writing campaign about anti-drug abuse. And that lead on to several performances at the school grounds, including a graduation gig where Preach has to perform on their ceremony which was attended by more than 500 people. He then stumble upon a website called DropHit.Net that lets you upload demo tracks to a lot of labels and talent scouts worldwide. So Preach started recording a couple of his tracks and upload it to the website, shortly after that 4 labels responded to him asking for more tracks. After sending more tracks, JetSpeed Records decided to offer Preach a record contract, but after assessing the offer Preach turn down the offer for this is not the one he is looking for. Since then he explore more of his God-given talent, and it was in July of 2006 he and his friends decided to form a rap group called ?Still Gs? where he is the Co-founder of this secular group. But their group do normal secular rapping rather than christian musics. The group then performed to several clubs and public events in Germany, one of which is the Youth Club, where Preach once worked. One of the biggest event the group has performed into is the Festival of Lights, this is the largest musical fireworks event in Northern Germany. The festival started from Friday to Sunday and the group was asked to perform on a Saturday night to do live acts, the event was attended by an estimated 15,000 crowds. The group also have the chance to perform with K Young as his opening act at Club Skala in Hameln, Germany. With Preach on the fast lane to music success, the calling to christian music became stronger and stronger. And soon after the group decided to move in to a new city, Preach then realized that he needs to step out of the group and do what God has planned him to do, focus on His music. God has His own ways and make everything easy for Preach to let go of the group, He gave Preach a 12-hour job on a 6 days a week schedule that makes him so busy he cannot attend to group practice and gigs and eventually the group fall out and Preach decided to inform them that he is in Christian music now. After that Preach join several contest and one of which earned him a second place at a musical and dance casting in Hameln, Germany with 150 contestants. Being able to sing his music he was inspired to do a mixtapes titled ?Bringin Da Message In A Different Kinda Word? vol 1 and vol 2 was titled ?Ghetto Story? which he made 200 physical copies of cds and distribute it at local bars, music stores, and even uploaded it online at his MySpace account, which has recorded 115 visits from users online. He uses MySpace as a promotional tool, Preach has now 5,727 friends and fans combined. 2009 when he has been tagged on MySpace as one of the Top 5 unsigned christian hip hop artist from Germany and stayed on the list for several months. Based on the raking he is the only rapper in Germany who rap in English which is a big plus for him. It was in October of 2009 when Preach was invited for a live interview by Aaron Robinson one of the owner of c1music.fm radio station. Preach uploaded the radio interview on his MySpace account and returned a recorded visit of more than 100 unique users online, not to mention the positive feedback on the radio station listeners. It was February 16th 2010, when he decided to sign a record deal with Chosen One Production, LLC ? is an independent label for christian artist. Preach accepted the record contract for this is the one he is looking for.